Hearts today completed the signing of Tranmere striker Cole Stockton on a two-year deal. 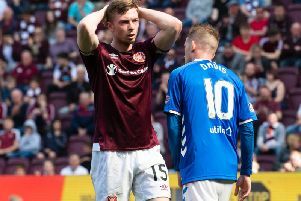 The 23-year-old will officially join the Tynecastle outfit on July 1 when his current contract with the Prenton Park club expires. Stockton scored 18 goals in England last season and the video in this article shows he has an eye for goal and is mainly a penalty-box, poacher type of forward.